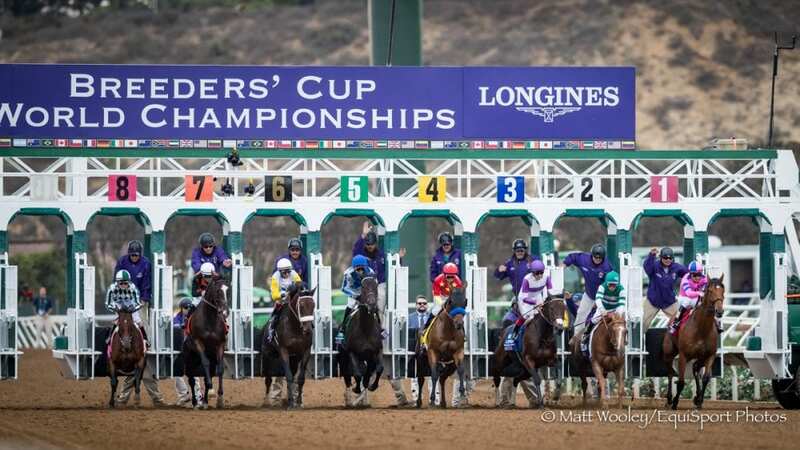 At The Races (“ATR”) will broadcast the 2018 edition of the Breeders' Cup World Championships exclusively live in the UK and Ireland, it was announced today. In addition, Sky Sports Racing will broadcast the 2019 and 2020 events exclusively live following the launch of the new HD, dedicated racing channel, as the successor to ATR, in January 2019. Under a new partnership, ATR/Sky Sports Racing will have exclusive UK and Ireland TV broadcast rights to all races from the two-day Championships and will commit significant promotion and coverage to the event and to the Breeders' Cup Challenge Series across their digital and social media assets, including hosting another dedicated microsite on attheraces.com, the UK and Ireland's largest racing website. The 2018 Breeders' Cup World Championships will feature 14 races (13 Grade 1 events) offering more than $30 million in prize money and awards. The event will be staged this year at Churchill Downs, Louisville, Kentucky on November 2nd and 3rd. Sky Sports Racing (ATR in 2018) will have exclusive on-site track access and filming rights amongst UK TV broadcasters at all three Breeders' Cup events. ATR will report exclusively from on course and behind the scenes at Churchill Downs in 2018 and will broadcast live using NBC's feed and acclaimed coverage of the event. This entry was posted in Breeders' Cup, The Biz and tagged at the races, Breeders' Cup, Breeders' Cup TV coverage, craig fravel, Sky Sports Racing by Press Release. Bookmark the permalink.